Can you freeze a potato salad? This is a question that a few people want to be answered. The answer is yes, it could be possible, but when it comes to this topic pre-cautions should be used. 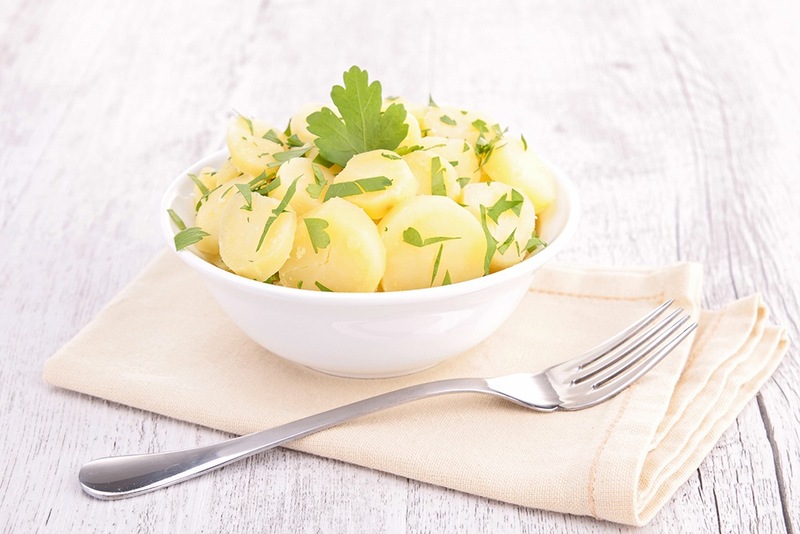 While storing a potato salad in the freezer would be convenient to save for about a week or even months, the texture and taste of your potato salad may be affected negatively. A potato salad is comprised of various ingredients like boiled eggs, mayonnaise, and potatoes, which don’t freeze over time. Knowing the basic methods of freezing a potato salad properly is important to preserve it and to make it still edible for a span of time. So, if you’re looking for tips and tricks to remember regarding this topic, then you are on the right track. Continue reading this article and you will be guided well in what to do in terms of preserving your potato salad and you will be satisfied with the results. Can You Freeze a Potato Salad? How long should a potato salad be in the freezer? How to Thaw a Potato Salad? Once you choose to get rid of these various ingredients from the potato salad to freeze the dish successfully, you will be sacrificing its character and flavor that makes a potato salad a snack or side dish that’s enjoyable in the first place. When the ingredients don’t freeze well on their own, such as mayo, egg, and potatoes, then probably they won’t freeze together well as parts of the whole potato salad. Potatoes, unless mashed or shredded, don’t freeze that well. The moment these cooked potatoes becomes frozen, they usually lose a lot of their flavor and consistency. After de-thawing the potatoes, they become unrecognizable and soggy, which leads to less flavor in the potato salad. By freezing and going ahead of your potato salad, you might see that the mayonnaise’s liquid contents would separate the potato. Then, the potatoes would turn off-color from separating the mayo, which will then lead to a less desirable flavor and taste. It’s essential to seal the contents in a container that is airtight or you could put your salad in a freezer bag to lessen the chances of the potato salad going bad after the period of freezing. You would also want to ensure that the potato salad can still breathe and maintain its form. Thus, you wouldn’t want it to place in a bag too tight or pack it in a container where the contents could possibly be squished before going through the process of freezing. 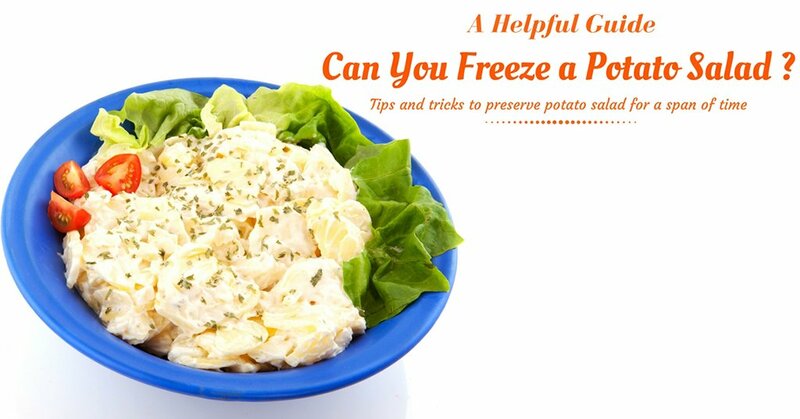 If you wish to freeze your potato salad, you must not store it for too long. The longest time a salad must spend consecutively in the freezer would be until a month. The potato salad will lose its original texture and consistency if you store it in the freezer for more than a month. For great safety measures, it’s essential to be cautious while mixing the dairy products, such as mayonnaise and boiled eggs, together with the potatoes and to know that the dish could go wrong after freezing occurs. After freezing your salad for a long enough period of time, the potato salad would tend to look like a soup because of its liquid ingredients of the mayonnaise that separate itself from the potatoes and boiled eggs. Remember this, liquids and solid don’t go well together if frozen. If you actually want to freeze your potato dish, it is much better for you to freeze mashed potatoes since its texture is more pliable and it has fewer solid ingredients. I can’t suggest you freezing your potato salad like some foods as a great idea. The best option for you to consider for your potato salad is to place the contents in a container that is sealed or a bag in the fridge. This will let the potato salad to keep its flavor and texture and for it to remain cold while not ruining the mixture of both liquid and solid ingredients. Although, regardless if the potato salad is frozen or refrigerated, it will go bad. 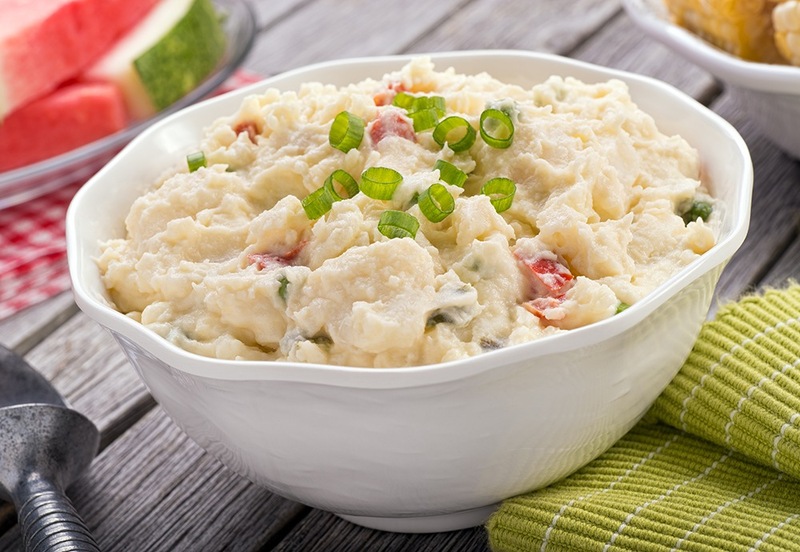 When you are preparing the potato salad for a party or an event, guarantee that you purchase or prepare the potato salad at least 1 month before the event you are going to have. Serving a potato salad that is more than one-month-old is never a great idea. Also, it could make your family members or guest quite sick even though it was frozen for that entire amount of time. Thawing a potato salad at a warmer temperature after a long period of freezing time, keep in mind to first defrost it in the refrigerator for about a couple of hours. Remember that after freezing, you should not thaw the potato salad at room temperature by leaving it on your table or kitchen counter. This is highly not recommended and inadvisable. Finally, add some salad dressing after refrigerating or freezing the potato salad. You could use either more oil, mayo or vinegar based to help the dish remain its original texture flavor. The extra dressing would keep your potato salad fresh. Together with the extra dressing, re-mashing some potatoes will maintain the texture of the salad and re-thicken it. Also, adding some boiled potatoes that are freshly cooked or combing some green herbs would help its overall flavor and texture. Taking the necessary precautions and steps, anybody could do this in their personal kitchen while freezing the potato salad isn’t the best option.